You probably don’t need convincing to appreciate the perfection of the iPhone. It is a beautiful thing that people would quite happily have sewn in to their arms if they could, such is the attachment it evokes. 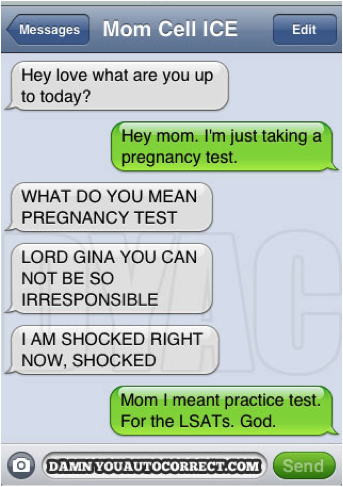 But like everything it has it’s quirks, and autocorrect is probably it’s most infamous. 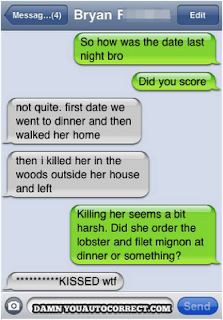 The annoying word changes iPhone Autocorrect comes up with have made teenage girls tell their mothers they’re pregnant (pregnancy test instead of practice), straight guys announce they are Gay (out of closet instead of clinic) and my personal favourite, a first date crime due to lobster and fillet mignon (killing instead of kissing)! So it is logical that Apple has decided to fix it, releasing software last week that will stop this embarrassing, annoying, life-changing tool, and bringing it more in line with the superior Android spellchecker. So once again the iPhone is perfect and you know what, I’m disappointed. 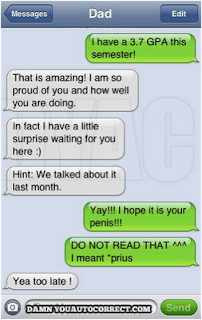 Maybe I wouldn’t be if I was someone that told my partner I wanted to jump them but iPhone changed it to dump, but I’ve been lucky to be one that has just stood by and LMAO at some of the epic Autocorrect fails. And an Aussie hacker found a work around for those that really have been burned anyway. So now what are we going to do? Perfection is boring Apple. The software update, that was released on Thursday also helps with battery life on devices running the new iOS5 software and enhances Siri for the Australian accent. But I reckon putting up with these two issues is worth it if one day you get to tell your Dad you want his P¢nis (*Prius)! 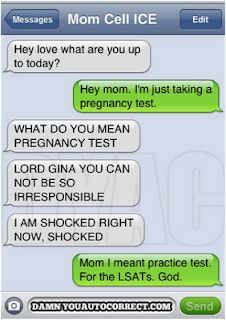 Will you miss the old Autocorrect like I will?